The crisper drawer in your refrigerator can at times become a catch-all for every food item without a home. It’s the place where anything that doesn’t seem to have a dedicated spot somewhere else in the fridge usually ends up. The little drawers seem to be a very convenient tool for catching stray things like cheese, yogurt, and even a few extra packs of butter. In your mind, you know that these handy little spots have a specific purpose, but we often forget what it is for. Even those who understand that it is designed to preserve their produce find that it is not always working as it should. 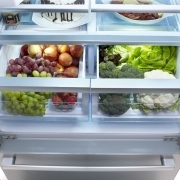 Check these 5 tips out to make the most out of your refrigerator’s crisper drawer. The purpose of the crisper drawer is to provide an area that is sealed off for refrigerated items that require a lower humidity than everything else. Your refrigerator might have several of these drawers, each with their own humidity level. The trick is to know what kind of foods will be best served in this unique environment. While you can store just about anything in your crisper drawer, they are usually dedicated for the storage of fresh produce or meats. This is very important if you purchase a lot of these items every day. If you find that your fresh fruit and vegetables seem to go bad very quickly, it may be the time to make better use of these drawers. While most foods need to be refrigerated, they are not all the same. In order for some produce to last longer, it may have very different needs. It pays to keep a general rule in mind. Rot, low; wilt high. Produce that tends to go bad quickly should be stored in a low humidity drawer. That means anything that will rot as it ages should be kept in these drawers. This is because these types of foods tend to emit gases and these drawers have vents in the back that allows the gases to escape, so everything stays fresher long. Consider putting foods like avocados, apples, grapes, peaches, pears, etc. Foods that are not likely to release much gas as they age will last longer in a high humidity environment. These foods are more likely to lose moisture and will gradually wilt as they age. Keeping these to a higher humidity will help them to preserve much of their moisture so they will remain crisp. These are often green, leafy vegetables like broccoli, carrots, cucumbers, lettuce, and strawberries. Learning how to adjust the humidity level should be very simple. There is a little vent located in the very back of the drawers that can be opened and closed as needed. Closing it seals the drawer shut. To lower the humidity, the vent opens wider allowing more moisture to escape. If after all of these things, you still find that much of your produce seems to be melting away, it could be the result of something else wrong with your fridge. 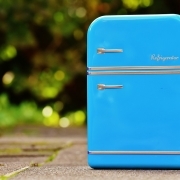 You may need to get a refrigerator repair in SF, so call us here at Absolute Appliances Repair so we can help you to get to the root of the problem. Most of us are aware of the many uses for lemons. We know that it is an excellent food enhancer. Just a few drops on prepared food can bring out the most vibrant of tastes of almost any dish. We have also learned how effective it is at cleaning around our home. Add a little lemon juice to your cleaning solution and we can quickly have spotless countertops, bathrooms, windows, and floors with little effort. And it leaves everything smelling as fresh as a spring morning. Even the bright color can enhance the overall aesthetic of your home. So, no doubt there are many advantages to having lemons around your home. They are rich in vitamin C and full of healthy chemicals that can even offer some level of protection from the ravages of cancer. But there is another way to use lemons that you may not be aware of; it’s a great way to preserve foods. Lemons are highly acidic, so when you add the juice to your foods, you’re pretty much doing exactly what manufacturers do when they pickle foods. Like vinegar, its acid inhibits the growth of bacteria and slows down the molecules of oxygen, preventing them from interacting with the molecules in the food. By slowing down this natural chemical reaction, foods will break down much more slowly retaining a good part of their essential nutrients as it does. It is amazing how fast fruit starts to turn once it’s been cut or cooked. To keep them looking fresh for longer, simply sprinkle a bit of lemon juice on the cut surface to keep it from browning. Just a few drops will extend their shelf life for as much as two to three days in the fridge, or even survive until lunchtime in your lunchbox. If you’re canning at home, simply add a spoon or two to your jams and jellies, it will work to prevent bacteria from growing and destroying your final product. You can even add it to homemade dried fruits by simply soaking the cut fruit for 10 minutes in lemon juice before you start the dehydration process. Make a mixture that is 50% lemon juice and 50% water, and your dried fruits will nearly double their shelf life. Homemade juices tend to go bad a lot sooner than those you buy in the store. This is because store-bought juices have preservatives in them. You can get those same long-lasting benefits by adding a little lemon juice to your finished juices to slow down the natural chemical processes that can cause browning. Just squeeze the juice of one lemon into the finished juice and it will last even longer, and you get the extra dose of vitamin C in the process. Of course, it is also important to choose the right kind of lemons to get the best effect. Because the lemons you buy in the store can vary in their size, acidity, and even freshness, it can be difficult to get the same consistent results every time you use them. So, if you’re planning on doing an extensive amount of preserving, cleaning, or freshening around your home, buying whole lemons could be a little pricey. 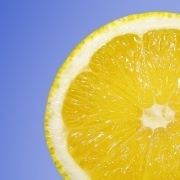 However, for use in cleaning and preserving, fresh lemon juice is not essential. A more affordable option would be to purchase bottled lemon juice for these tasks. But, when using lemons for the preservation of food, because you won’t be using large quantities for these jobs, fresh lemons should be your preferred choice. The few drops you use won’t be enough to alter the final taste of anything you do. So, as a general rule, consider using fresh lemon juice when for cut fruits or in foods where you will be eating them relatively soon, and use bottled lemon juice for those foods that will have a longer shelf life and for household cleaning tasks. For all of your needs with refrigerator repair in SF, contact us today by visiting our website or calling us at this number (415) 831-1259. Your refrigerator is probably the hardest working appliance you have in your home. From the time you bring it home and plug it in, it works for you 24 hours a day year-round. It is likely the most reliable appliance in your home. So, it is understandable that there is some reluctance to buying a new one when it starts to give you problems. It would be like trading in an old and trustworthy friend. If you are starting to notice that your fridge is not as efficient as it used to be, don’t think it is time to throw in the towel. Most refrigerator problems are relatively simple fixes. It is only when those problems are neglected that you are looking at a major repair. If you are noticing that your fridge is not working as it should, here are a few updates that may make all the difference. Most likely, the number one cause of a refrigerator’s inefficiency is a cracked or broken door seal. When the seal is compromised, warm air from outside can seep in keeping the fridge from maintaining a cold temperature. Even if the seal appears to be good with no visible cracks or breaks, there may still be a small gap that is allowing external air to get into the cabinet. If you find that there is a hole or a crack in the seal, it might be smarter to replace it rather than invest in a whole new fridge. Often, when a refrigerator is not performing well, it could be because the coils are clogged. Over time, they can get clogged up with hair, dust, and other particles that naturally accumulate in the air. Simply checking the coils and cleaning out any of that accumulated debris can give the coils breathing room to work. Sometimes, the ice maker or water dispenser stops working. This may be a problem with the water filter, which can be a pretty easy repair to make. By replacing the water filter, you can give your fridge a whole new life. You can also check to make sure that the ice maker hasn’t been turned off by accident. Sometimes the refrigerator can’t keep its temperature because the door gaskets are dirty. Over time, a build-up of sticky residue from different foods can accumulate in the doors. This makes it harder to open the door, which can eventually tear the gaskets. Cleaning them with a little warm water might be your best option when it comes to avoiding expensive repair bills or having to replace the refrigerator altogether. Nothing can be more disappointing than opening the refrigerator only to find semi-soft ice-cream in the freezer or milk that has gone bad because of the low temperature. But, the idea of having to replace an old fridge doesn’t have to be the only solution. Often, the problems are minor enough that you can handle them yourself. If not, call our refrigerator experts at Absoluteappliancesrepairs.com to help you upgrade your appliance and avoid the cost of replacing it.